Style with Ama Glamz: Lady Gaga Looking Dapper in NYC Yesterday. 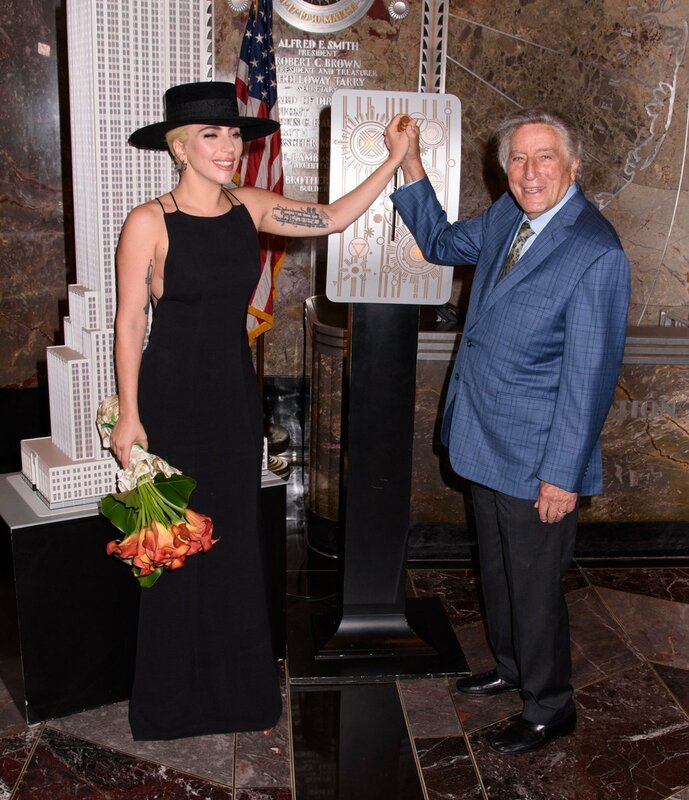 Lady Gaga Looking Dapper in NYC Yesterday. Looking cool and more conservative in my opinion in recent pictures, I think Brandon Maxwell is doing a great job designing for Lady Gaga. By the way, Brandon Maxwell designed the lovely Ivory dress First Lady Michelle Obama wore to the State Dinner in honour of Singapore's PM Lee a couple of days ago. Brandon pieces are some worth classic and sure will be timeless, one of the reasons being because of his choice of colours ranging from ivory, white to black and so on. Lady Gaga had worn one of Brandon’s pieces to Tony Bennett 90th birthday in NYC yesterday and I am so loving the custom black velvet dress. 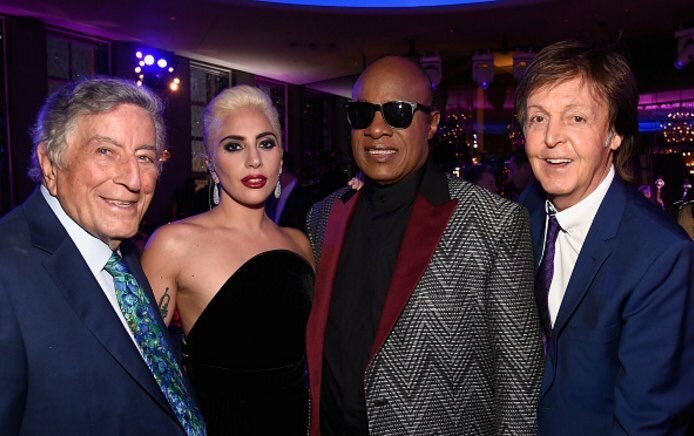 Tony Bennett, Lady Gaga, Stevie Wonder and Paul McCartney at Tony Bennett's 90th birthday party. These are great people. Lady Gaga at Oscars 2016 in another Brandon Maxwell well crafted piece.